For Delicate & Dry Skin. 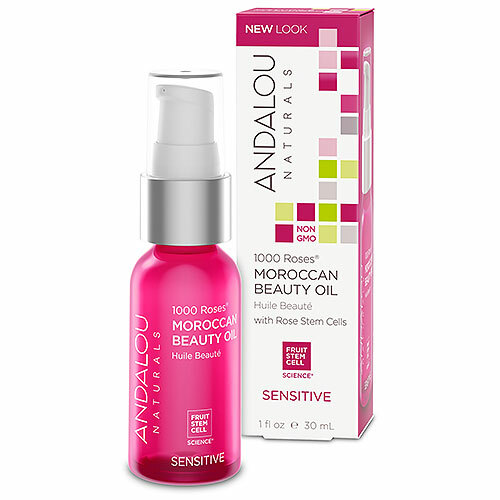 A sensory experience, this silky lightweight beauty oil with alpine rose stem cell, delivers dermal vitality to soothe and nourish sensitive skin as argan and pomegranate oils, rich in tannins and polyphenols, uplift tone and deeply moisturise for a flawless looking complexion. Helianthus Annuus (Sunflower) Seed Oil*, Simmondsia Chinensis (Jojoba) Seed Oil*, Tocopherol, Rosa Canina (Rosehip) Fruit Oil* Punica Granatum (Pomegranate) Seed Oil*, Vaccinium Macrocarpon (Cranberry) Seed Oil*, Camelina Sativa Seed Oil*, Argania Spinsosa (Argan) Kernel Oil*, Hippophae Rhamnoides (Sea Buckthorn) Fruit Oil*, Plant Stem Cells (Alpine Rose, Malus Domestica, Solar Vitis) and BioActive 8 Berry Complex*, Soothing Complex: [Sodium Hyaluronate, Magnolia Officinalis Bark Extract, Boswellia Serrata (Boswellin) Extract], Bisabolol, Isosorbide Dicaprylate, Aloe Barbadensis Leaf Juice*, Camellia Sinensis (White Tea) Leaf Extract*+, Aspalathus Linearis (Rooibos) Extract*+, Rose Isolates, Vanilla Isolates, Pelargonium Graveolens (Rose Geranium) Flower Oil*, Citrus Aurantium Dulcis (Orange) Peel Oil*. Small drops to face and neck for natural glow. 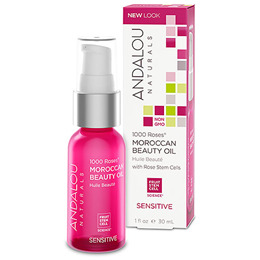 Below are reviews of Andalou 1000 Roses Moroccan Beauty Oil - 30ml by bodykind customers. If you have tried this product we'd love to hear what you think so please leave a review. A lovely, light and easily absorbed oil. This beauty oil is intensely fragrant and easily doubles up as a perfume! Love the natural ingredients and will be buying again. For Delicate & Dry Skin. A sensory experience, this silky lightweight beauty oil with alpine rose stem cell, delivers dermal vitality to soothe and nourish sensitive skin.